ZMA (Zinc Monomethionine Aspartate, Magnesium Aspartate and Vitamin B6) is natural mineral supplement heavily marketed towards strength/power athletes and bodybuilders for its supposed ability to improve performance, body composition and increase testosterone levels. ZMA is typically sold as a testosterone booster and a way to improve sleep and recovery. The original and purportedly the only right dose is composed of zinc monomethionine and aspartate (30 mg), magnesium aspartate (450 mg), and vitamin B6 as pyridoxine hydrochloride (10.5 mg). However, there are many other formulations of ZMA. The study that started it all was funded by the supplement’s creator and patent holder Victor Conte (famous for the Balco Labs steroid scandal) in the year 2000. For 8 weeks, 27 NCAA football players (working out twice a day) were given ZMA before bedtime . ZMA supplementation in this study was associated with improved anabolic hormone profile and muscle function in already strength-trained varsity collegiate football players . The author of the study not only owns the patent to the ZMA formulation but was also selling anabolic steroids to professional athletes undetected from 1988 until 2002. Follow-up studies by other scientists were not able to replicate effects from Conte study. In a study by Wilborn and colleagues , forty-two resistance trained males ingested ZMA supplement where no increases in free or total testosterone were reported. Furthermore, findings of this study do not support contentions that ZMA supplementation during training increases muscle mass and/or enhances training adaptations. In this 8-week protocol, training did not negatively impact on zinc or magnesium status. These findings also suggest that ZMA supplementation may not be needed or beneficial for bodybuilders. Koehler et al. also reported that ZMA has no impact on serum testosterone levels nor does it affect metabolism of testosterone in subjects who consume zinc-sufficient diets. Because of lack of evidence, the International Society of Sports Nutrition has declared the effect of ZMA on muscle-building “not known”, and the Australian Institute of Sport, which informs athletes about supplements, has decided that ZMA is lacking clear proof of benefits . In our opinion, these decisions are somewhat mild. It should be noted that testosterone production may suffer where there is zinc deficiency . Although some studies have suggested that zinc and magnesium levels are diminished in athletes, most athletes get the adequate dietary intake of both zinc and magnesium . Companies that market ZMA supplements claim that by increasing zinc, magnesium and vitamin B6 in your body builds muscle strength, stamina, speeds up muscle recovery and improves sleep quality. Unfortunately, there is close to zero research behind these claims. ZMA has not been specifically studied for improving sleep. However, some of the ingredients contained in ZMA are reported to play a role in sleep. Such as, report that women with higher levels of zinc (and copper) in the serum and hair may sleep longer  and positive association between newborns magnesium levels and quiet sleep duration . With increased Mg quiet sleep increased, whereas active sleep decreased. A very popular stack amongst bodybuilders is taking ZMA with Tribulus in order to further enhance testosterone production. Most of the websites claiming this combo works are also selling this stuff to you. We have previously examined Tribulus and showed that it has no androgen-increasing properties, same goes for ZMA. Furthermore, neither Tribulus terrestris nor ZMA supplements have been shown to enhance athletic performance. So, you should not expect anything but placebo effect from this natural “super stack” (considering your magnesium and zinc status are adequate). 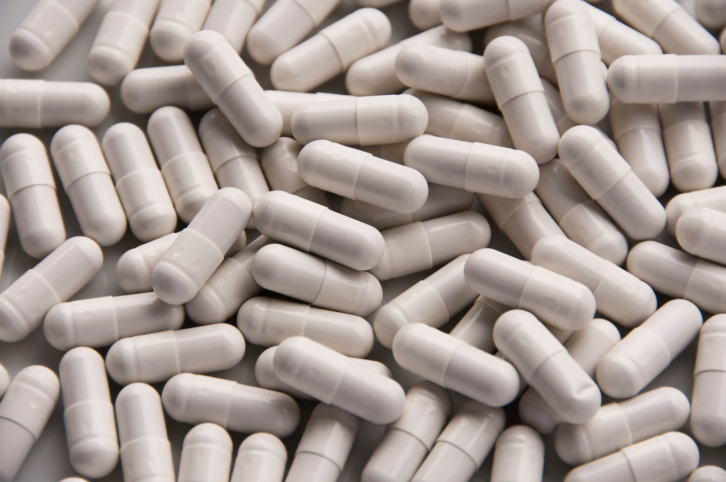 Studies report that taking ZMA at recommended doses causes no known side effects, however, there could be health concerns if the supplement is taken more frequently than the manufacturer recommends. Wilborn et al. reported no clinical side effects related to normal supplementation doses of ZMA. Too much of any vitamin or mineral can cause serious problems such as diseases and other disorders. A very large doses of vitamin B6 (over 200 mg a day) can cause neurological disorders , while too much zinc (1 to 2 g a day) causes your body to absorb less copper into your bloodstream , and even increases chance of prostate cancer (reasons remain unknown) . Brilla, L. R., and Victor Conte. “Effects of a novel zinc-magnesium formulation on hormones and strength.” J Exerc Physiol Online 3.4 (2000): 26-36. Wilborn, Colin D., et al. “Effects of zinc magnesium aspartate supplementation on training adaptations and markers of anabolism and catabolism.” J Int Soc Sports Nutr 1.2 (2004): 12-20. Om, Ae-Son, and Kyung-Won Chung. “Dietary zinc deficiency alters 5a-reduction and aromatization of testosterone and androgen and estrogen receptors in rat liver.” Journal of Nutrition 126.4 (1996): 842-848. Leitzmann, Michael F., et al. “Zinc supplement use and risk of prostate cancer.” Journal of the National cancer Institute 95.13 (2003): 1004-1007. Song, Chan-Hee, Yeong-Hoon Kim, and Kyu-In Jung. “Associations of zinc and copper levels in serum and hair with sleep duration in adult women.” Biological trace element research 149.1 (2012): 16-21. Dralle, D., and R. H. Bödeker. “Serum magnesium level and sleep behavior of newborn infants.” European journal of pediatrics 134.3 (1980): 239-243. Koehler, K., et al. “Serum testosterone and urinary excretion of steroid hormone metabolites after administration of a high-dose zinc supplement.” European journal of clinical nutrition 63.1 (2009): 65-70.